The UAE announced that India will be the Guest of Honour nation at the Abu Dhabi International Book Fair 2019. REASON Why UAE Selected India As Guest of Honour at ADIBF 2019. 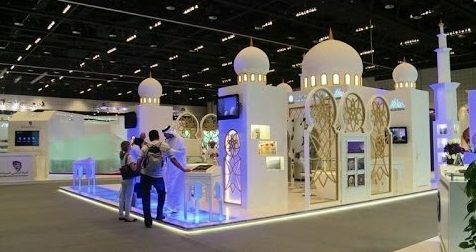 United Arab Emirates (UAE) on Friday (12th of April) announced that India will be the Guest of Honour nation at the Abu Dhabi International Book Fair (ADIBF) 2019. The Abu Dhabi International Book Fair is scheduled to be held from 24th to 30th of April, 2019. The Aim of the fair. The ADIBF aims to highlight the UAE’s rich heritage, showcasing its authenticity and modernity, as well as its cultural and literary output. India’s participation is anticipated to entice noteworthy increase in the number of visitors with various events and activities which will be held throughout the entire duration of ADIBF. Why Abu Dhabi Selected India As Guest of Honour? Undersecretary of Department of Culture and tourism Abu Dhabi, Saif Saeed Ghobash said, India’s selection as the Guest of Honour at the book fair underscores the deep ties between India and the Arab world and the long-standing UAE-India relationship. He also said, India’s power is not limited to its economy or its universally admired film industry, there is great strength in its cultural output, boasting as it does some 16,000-plus publishers. Director of ADIBF, Abdullah Majed Al Ali, said, the book fair will celebrate India, with its authentic culture, arts, heritage and knowledge-based traditions. Why It’s Hard For Airlines To Thrive In Indian Market? Previous StoryCryptocurrency Firm Fires 85% of Staff – Reason Behind The Decision? India Lost 5 Million Jobs – Economic Growth Failed To Create Jobs?